Active Family Chiropractic & Wellness opened in May 2010. Ever since, we have been offering chiropractic care to hundreds of individuals and families in the West Des Moines, IA area. Why did we choose West Des Moines? Well, who wouldn’t! It has all the glamour and buzz of a big city, yet small enough to call home. As a chiropractor in West Des Moines, we are dedicated to delivering our best to help you become a healthier and happier person. Our mission statement- ‘get well • live well • be well’- amply describes our goal and vision for the future. We Want You to Feel at Home in Our Office! 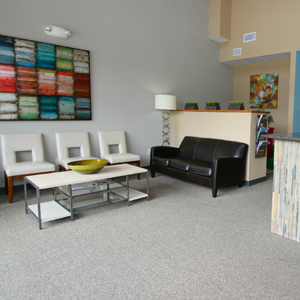 When you visit our West Des Moines chiropractic office, you can expect to feel right at home and in a friendly and caring environment. We didn’t just pick any office and start our practice. A lot of loving care and planning went into every detail. Yes, right from picking door knobs to the actual floor plan, we debated every decision and went with what matched our mission statement. You’ll be pleasantly surprised with our office décor as it reflects the calming influences of a spa rather than the hustle and bustle of a medical clinic. The natural stone accents, bamboo flooring and soothing paint colors all add to the serene and calm overall effect. As a family chiropractor, we help many families with children. We have a wonderfully bright, cheery and creative kid’s area. 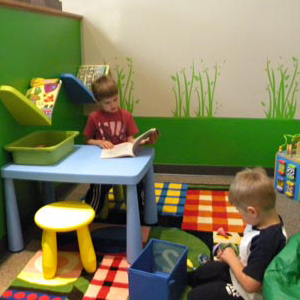 This fun-filled section keeps children busy before and after they are seen by the doctor. Don’t be surprised if you little one doesn’t want to leave! Many people come looking for a West Des Moines chiropractor, but most of them also have a common thread that links them to each other. This thread is the desire to live a higher quality of life- healthy, happy and overflowing with the joy of knowing that you’re living life right! Our patients value their health and appreciate the fact that true healing comes from within. What is ‘sick care’? It’s simple. You live life carelessly, oblivious to the health hazards around and then when you do fall sick, you see a doctor and get a prescription for a bunch of pills. You may get better in a while, but then you’re back to your old unhealthy habits again. Alright, so what is ‘health care’? It starts with building good habits such as a healthy diet, lots of exercise and regular chiropractic adjustments so you can ward off any health attacks even before they actually hit! That’s proactive thinking- makes sense doesn’t it? At our West Des Moines chiropractic office, we also offer Rehabilitative Therapies, Functional Medicine and Personalized Nutrition. We go beyond physical ailments and identify emotional and biochemical triggers that could be affecting your overall health. We are honored to help improve the health and quality of lives to Greater Des Moines families through safe and natural Chiropractic Care! Come by for a visit or call our West Des Moines chiropractic office to make an appointment.